Welcome to the PAGE 2019 Exhibitor Space booking service. This is where you book your exhibition space for the PAGE 2019 meeting in Stockholm 11-14 June 2019. 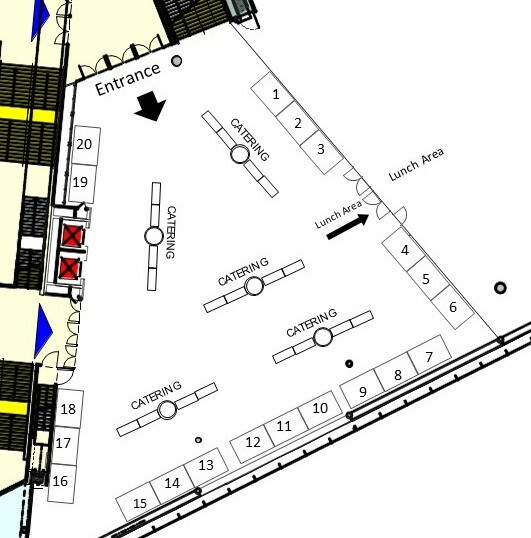 The conference and the exhibition will take place at the Stockholm Waterfront Congress Centre, level 4. Available spaces are listed below. All spaces are 1 700 Euro and the fee will be invoiced from PAGE. Exhibition space is free of charge for demonstrators of open source free software. Please book via this channel and make a note in the comments field on the following page. Additional equipment can be ordered from our partner CityExpo who will contact you after your booking for detail planning. Select your space and then click CONTINUE to proceed to payment details and confirmation. .